One of the perks of having Convention in Salt Lake City this year was the tour of our home office. Those who got to visit our place kept telling us how inspiring it must be to work in such a gorgeous and innovative environment. Well folks, the truth is, it is! If you tuned in to our Facebook Live yesterday, you got an up-close look at the space where Close To My Heart artists create all of the memory keeping and papercrafting artwork you love. 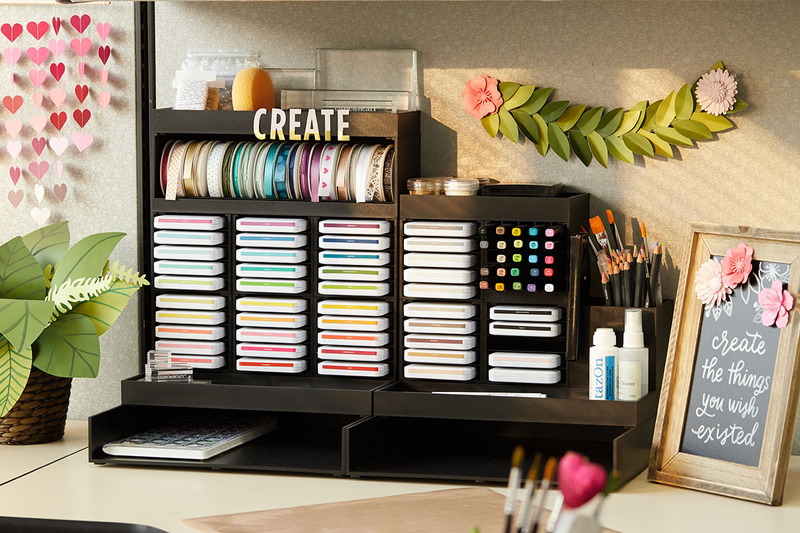 It’s a craft room dream come true. We want to show you how to take some of the ideas we used to create this atmosphere back to your own crafting nook so you, too, can be inspired! The first step in this process is to find what actually inspires you. Look for something great that someone else has made and make it your own. Once you’ve chosen something you like, take a moment to really consider it. What is it at its core? As you think about it, is there anything that clues you into how it was made? Take a peak into the Close To My Heart foyer. One of the first things visitors see when they walk into our building is this impressive mobile. Created from hundreds of paper hearts in various sizes and shades of pink, this is a breathtaking paper creation. Because most of us don’t have fifty-foot ceilings to fit such a large décor piece, use this mobile as a starting point. Simplify the project. You can make a small version of this mobile or a banner of hearts that fits any space, including above a desk. 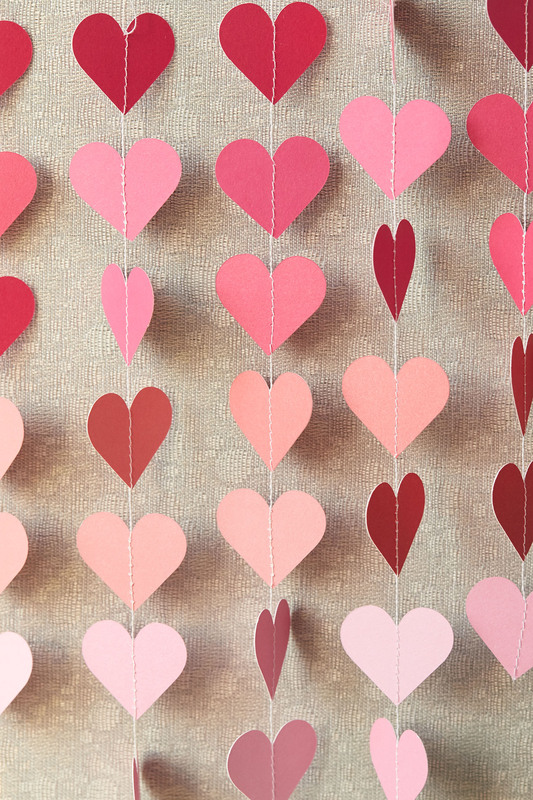 The idea is the same—create a decorative piece with different shades of paper hearts, but with smaller and fewer pieces. Let’s take a look inside our art studio. These two images show a small sampling of the papercrafting pieces and inspirational quotes our artists have designed to foster an atmosphere of creativity. Here is that same quote found on the wall of our art studio. 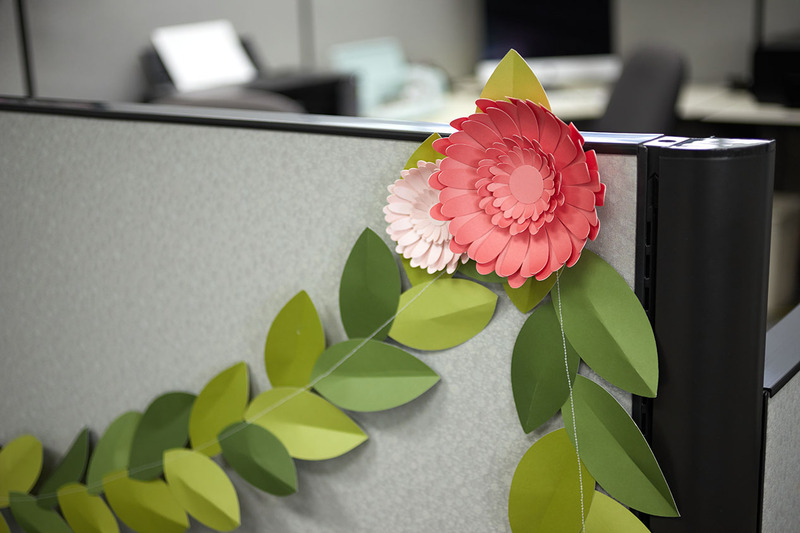 With a small frame and a handful of small paper flowers, you can showcase something that makes you feel creative while using little space. You might not have a large space for working on your favorite projects, but you can use what’s around you to beautify your creative space in small ways. 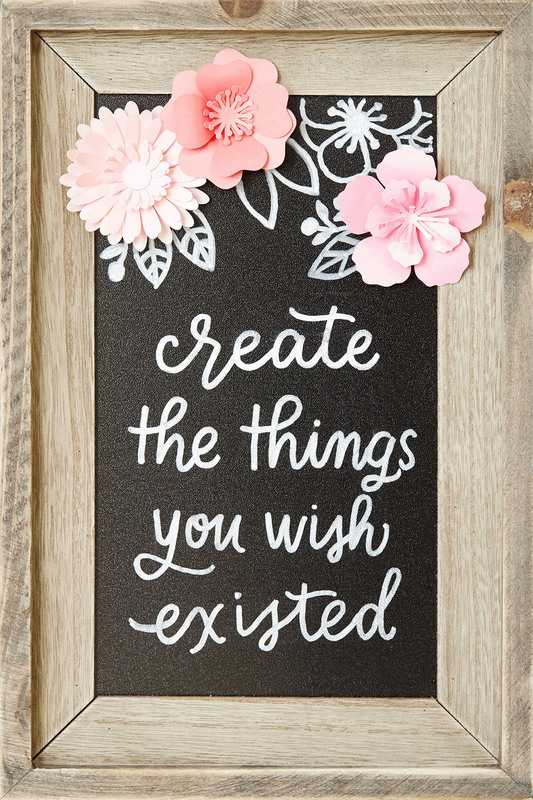 Large-scale sayings, banners, and other papercrating décor can be simplified to fit anywhere. You can see how all the parts and pieces came together to fill this desk space with elements of the papercrafting you saw in a much larger scale at the home office. Have you used large-scale inspiration to put together a crafting space that stimulates your creativity? Tell us about it in the comments below. Meet Jeanette Lynton—wife, mother, artist, and Founder & CEO of one of the world’s leading companies in the papercrafting industry. This blog is dedicated to all who share her love of creativity. Visit often, share your stories, and become family! © CTMH Co. All Close To My Heart images and original text are copyright of CTMH Co. Close To My Heart images may be shared through social media if they link back to this blog.